If you spend over $20 a month on your Cell phone You have to look at the new Straight Talk Pricing. Straight Talk Prepaid Wireless is the newest Prepaid Cell Phone company. It is a joint project between Verizon Wireless, Walmart, and Tracfone Prepaid. The Straight Talk phones use the Verizon Wireless Network and the phones will only be sold at Walmart and Online. Tracfone will provide the Software in the phones and the customer service. The Straight Talk Pricing is Very Cutthroat. $45 a month for Nationwide Straight Talk Wireless with Unlimited Texting, and Unlimited data on the Verizon CDMA Network. Also included are unlimited 411 calls.-or-3.3 Cents a Minute for $30 a month Straight Talk Wireless $30 a month for One Thousand Minutes, One Thousand Texts, and Thirty meg of data. That comes to 3.3 cents a minute and free texts and data. With Net10 the texts alone would be $50 a month and 1,000 minutes would be $100. Not only is this the Best Prepaid Cell Plan Pricing this is the Best Contract Pricing also. 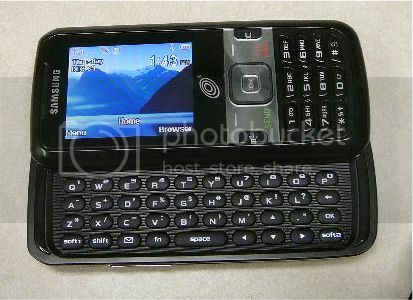 Samsung Finesse R810c Touch Screen, Mp3 player, Bluetooth, High speed EVDO, $329. From the simple and bulletproof LG100c and LG 200c to the New Samsung Finesse, Straight Talk has a nice variety of prepaid phones that all use the Verizon Network. The Straight Talk phones are a little more expensive than from Tracfone and Net10 but the phone rates are much cheaper than any other cell phone plan. Check out Straight Talk Pricing at the Straight Talk Website. All of the Most Frequent Straight Talk Prepaid Wireless Questions Answered. How Straight Talk Prepaid Wireless Works.